The CyanogenMod 12.1 for the OnePlus One came with True Caller, which many does not like (I don’t like the application). 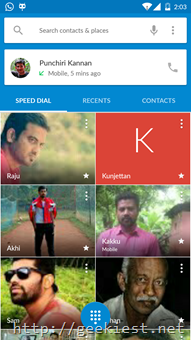 One of the issue I found with the dialer is it does not work fine with my contact list when I am trying to find a contact. 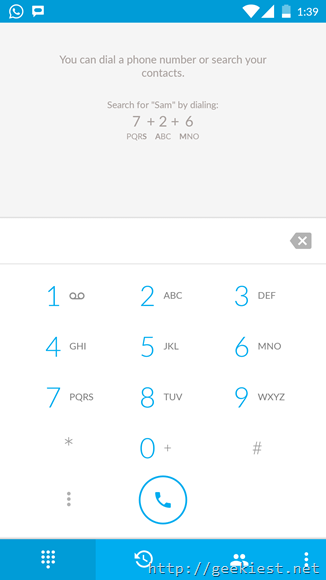 If you want to install the old Lollipop dialer on your OnePlus One. First of all you need a rooted OnePlus One. If you have not rooted your phone yet, you need to unlock the bootloader of the phone (which will wipe the phone storage and you will loose all you data on the phone so do it carefully, take a backup and move it to computer). If you already rooted your phone, download the flashable zip file from this link, move it to the device, boot to the custom recovery mode and flash the file. You need not to wipe cache or dalvik cache, just reboot the phone. I have installed Titanium Backup so I Freezed the Old Phone and another services related to true caller and dialer and changed the shortcuts. That’s all everything works fine. Just installing the APK file for the Google dialer may not work, I think (Not sure as I tested it), this method works perfect.